Here’s a pop quiz for mystery buffs: name the father of the American detective story. The fact that you’re reading this magazine means you most likely know that it was Edgar Allan Poe, whose 1841 story “Murders in the Rue Morgue” introduced the concept of the detective hero in the person of C. Auguste Dupin. But like all living things, the mystery genre has two parents. So, now try to name the mother of the American detective story, the woman who produced the first mystery novel written on these shores. Give up? You’re not alone. Even devotees of the genre may have a hard time coming up with the name Anna Katharine Green, whose 1878 book The Leavenworth Case is widely regarded as the first American detective novel. It is also the first such novel ever written by a woman, and in the views of some historians, the first bona fide American bestseller, selling a staggering three-quarters of a million copies over a 15-year period. Green’s influence and reputation were so great at the time that Arthur Conan Doyle made a point of seeking her out during an 1894 visit to the United States. It is therefore ironic, perhaps even tragic, that Anna Katharine Green and her work are so little remembered today; because not only was she a remarkable writer, she was a remarkable woman as well. 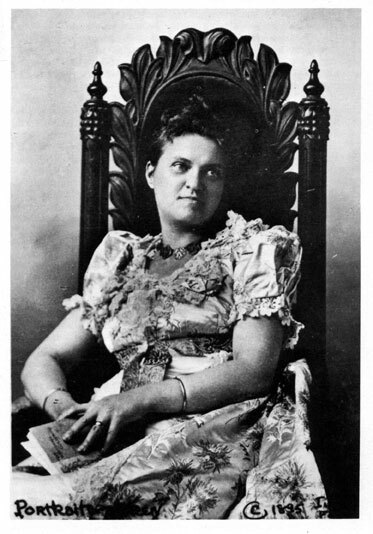 Born in 1846 in New York, the daughter of a prominent attorney (who was the source of her knowledge of legal and police matters), Green was college educated—rare for a woman of that time—and initially embarked on a career as a poet, but found no success.She began working on The Leavenworth Case: A Lawyer’s Story in secret and spent six years on the manuscript, an effort that resulted in overnight success and fame upon its publication by G.P. Putnam’s Sons. Green would marry and ultimately support a struggling young actor named Charles Rohlfs, who would later appear in a stage production of The Leavenworth Case before finding great success as a furniture designer. Green raised a family, but still managed to turn out more than three dozen more books over the next 45 years. None of them would have the impact of The Leavenworth Case, which was so highly regarded for its insight into legal matters that it was used in Yale University law classes as an example of the perils of trusting circumstantial evidence. The narrator of The Leavenworth Case is a young, impetuous New York lawyer named Everett Raymond, the junior partner in the law firm of Veely, Carr, and Raymond. Raymond’s company represents the wealthy, workaholic New York merchant Horatio Leavenworth, who at the book’s beginning is found shot to death in the library of his opulent 5th Avenue mansion (like the title character of the much later novel Rebecca, Leavenworth’s presence, not his physical being, haunts the book’s characters). Since the angle of the bullet wound rules out suicide, it is judged a clear case of murder, and all of the initial suspects are those living in or frequenting the house. They include Leavenworth’s beautiful, secretive young nieces Mary and Eleanore; his secretary James Trueman Harwell; a mysterious English visitor named Henry Clavering; and a staff of Irish servants that include an officious butler named Dougherty, a lady’s maid called Hannah Chester, the cook Kate Malone, and the upstairs girl Molly O’Flanagan. The major complication of the story—at least from Raymond’s standpoint—is that nearly all of the circumstantial evidence points directly to one person: Eleanore Leavenworth. The lovely but inscrutable young woman has been virtually shut out from her uncle’s will in favor of Mary. But upon first glance, Raymond falls stumblingly in love with Eleanore, who has been capriciously denied an inheritance. This means his task becomes not only to help find the killer, but to do whatever it takes to exonerate his love. That device has, of course, been used time and time again in mysteries, and for this and other reasons, it is sometimes tempting to fault The Leavenworth Case as a clichéd work…until one realizes that this is the book that established the situations and lines that would later become clichés (for instance, when asked whom he suspects of the murder, Gryce cryptically replies: “Every one and nobody”). 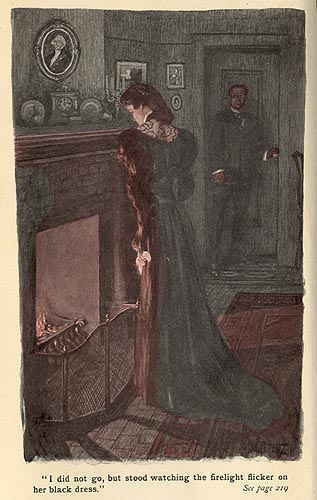 While the characters are generally well drawn—in particular, the author’s writing from the first person point of view of a young, lovesick male is convincingly handled, and the ethical ambiguity that characterizes both Mary and Eleanore is sustained throughout—much of the dialogue is floridly archaic (“Some women in my position would go mad! mad! mad!” Mary cries to the heavens at one point). More than anything, it is these ripe Victorian melodramatics that allowed Green’s work to lapse into obscurity. What saves The Leavenworth Case and makes it a delight to read so many years later though is the author’s deft plotting. The story goes lickety-split (particularly by 19th century standards) and Green seems to revel in cliffhanger chapter endings. Woven into the tangled plot are a wealth of intriguing elements, including a secret marriage, a past betrayal, a missing key, a vanished servant, a mysterious mustached man, a forged confession, a fragment of sinister letter to the victim, a name etched into a window pane, assumed identities, and overheard arguments. There are red herrings galore and there is even a second murder. Gryce, in his own plodding fashion, manages to cut through it all and find the truth. He even sets up a classic trap into which the killer falls. Ebenezer Gryce would return in more of Green’s novels and short stories, including That Affair Next Door (1897), Lost Man’s Lane (1898), and The Circular Study (1900), but after the 1923 publication of The Step on the Stair, Green stopped writing (or at least stopped publishing). The author died at the age of 88 in 1935, well into the era of the Golden Age. By then a new Queen of Crime had arrived upon the scene, England’s Agatha Christie, who in later years would reveal that she turned to writing mysteries after having been influenced by the work of Anna Katharine Green. While The Leavenworth Case is not officially in print at present, it is not that difficult to find a copy. For devotees of the mystery genre, reading the book can be likened to finding a photo of an ancestor: while it is obviously dated, perhaps even a bit dusty, the charming face is still immediately recognizable and it is quite clearly part of the family. If any American writer is due for a major rediscovery, even if only on the basis of historical importance, it is Anna Katharine Green. 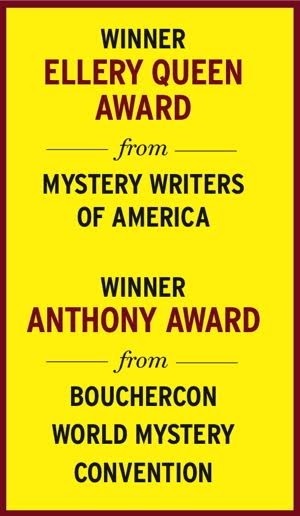 While largely forgotten today, her novels paved the way for…well, for just about everybody working in the mystery genre.